I am very pleased to announce that Dr. Scott A. Shamp has accepted our offer to join the FSU College of Fine Arts as Associate Dean. Dr. Shamp is currently the Director of the New Media Institute in the Grady College of Journalism and Mass Communication at the University of Georgia. The New Media Institute is an interdisciplinary unit created to explore the creative, critical, and commercial implications of new digital communication technology. At UGA Dr. Shamp focussed on building industry/academic partnerships that included companies such as Verizon, Intel, Nokia, AT&T, McDonald’s, HP, Delta, and Turner Broadcasting. Dr. Shamp acquired a patent and a trademark for his work in wireless and mobile media. He holds the James Cox Kennedy New Media professorship and the rank of Professor on the faculty of the Telecommunications Department in the Grady College of Journalism and Mass Communications. Dr. Shamp received his undergraduate (ABJ 1981) and Master’s (MA 1983) in Journalism from the University of Georgia. 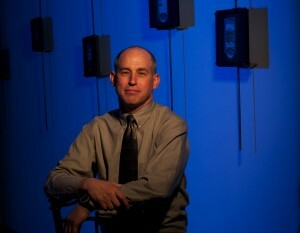 He received his Doctoral degree in Communications (Ph.D. 1989) from the University of Utah where he studied how computers impact the ways people communicate with one another. The arts have enriched my life. Now, it’s exciting to line up my profession with my passion. The College of Fine Arts, is dedicated to producing, protecting, and promoting creativity in all its forms. I look forward to joining this amazing family. We are very fortunate to have such an accomplished and dynamic individual join our college. Dr. Shamp starts at FSU in mid-June. We are all looking forward to having him as a colleague and leader at FSU.